Lace up your shoes anywhere and everywhere! 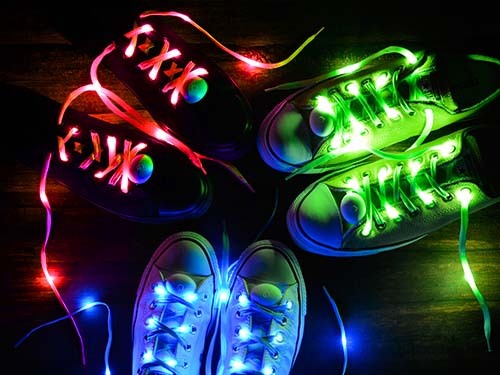 These flashy shoe laces light up your shoes, handbag or backpack. you can use them to wear to an event, activity or at night. This way your shoes are absolutely ready for a cool party. Better yet, lacing up your shoes in the dark has just become a piece of cake! The LEDs blink approximately 70 hrs on a full battery. The laces are weatherproof, sustainable, easy to clean and safe for children 6 years and up. 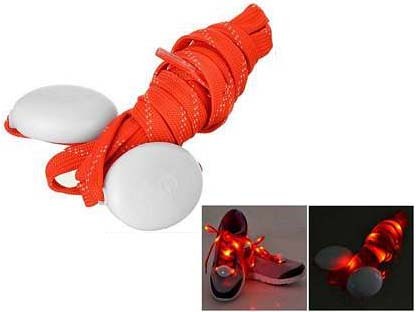 Put the lace in your shoe, pull the ends through the closing holes and then into the sides with the led lights. 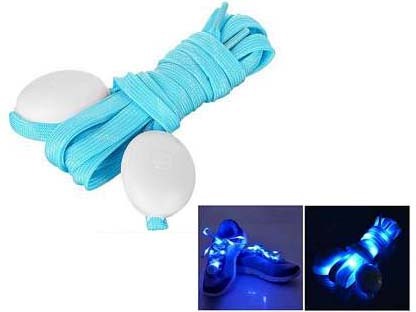 Turn the lock from open to locked, press the central button and now you have a pair of fabulous, flashing laces for your party!